Where is the “Karoo Republic”? Do you need a special visa to go there? And what exactly is going on down there? Falcon Oil & Gas’ plans to explore for shale gas in the southern Karoo encountered strong fracking opposition in Jansenville. Part III of our road trip through the Karoo Heartland. The Karoo’s vital statistics, in a nutshell. How big is the Karoo? What underpins its economy? 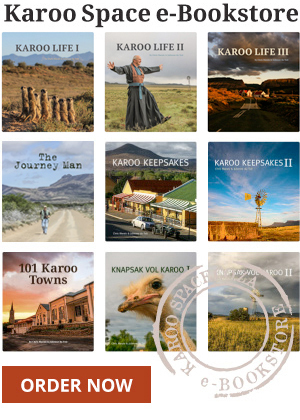 How many Karoo towns are there, and how many people live in it? For all this and more, read on. All this fuss about fracking in the Karoo, yet farming completely outclasses it in proven jobs, food security, and wealth distribution. Jansenville, on the southern reaches of the Karoo Heartland, is brimming over with angora goats, mohair and country legends. Klipplaat was once a major railway junction in the Karoo. Welcome to the liveliest desert in the world in the world, hosting a million people, seven million sheep and a startling number of plant species.